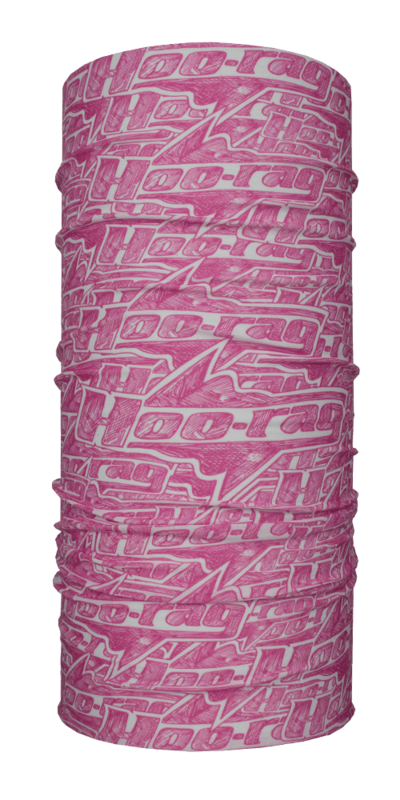 Our branded Hoo-rag is now available in pretty pink. 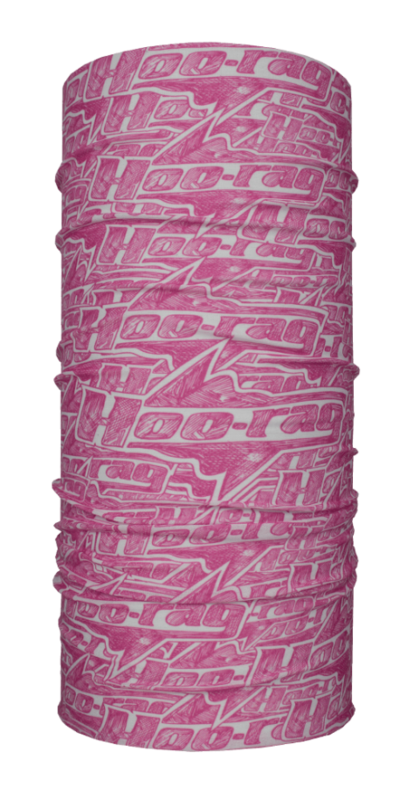 We’re giving you guys a great deal on these slick bandanas because you’ll have our logo plastered all over your head! This design turned out super sick – Rock ’em with pride Hooligans! Love it! The pink is a bit darker than in the pic which I’m pleased with. Fun design and comfortable. just hot this one. Rocked it today on a windy beach. A couple of quick adjustments for a perfect fit. Amazing lightweight and kept the wind at bay. Wearing the awesome pink! My daughter loves this for the cold weather! Perfect to use for sledding in the snow! Thank you! Great vibrant colors, great versatility!!! Awesome COMPANY!!! Thanks for your GREAT INVENTION!!! Material and probably one of my favorite hoos! Shipping was inexpensive and arrived super quick! Very happy with my purchase!! Great price for an eye catching hoorag!! Love mine! I’m addicted! Bought this one for my wife…she loves it…great quality item. Can’t wait to order some more. We’ve ordered 6 of these now, so versatile and an awesome product! The pink color is really good. Made a really good gift for my mom, and she loved it, too bad she lost it……..somehow……………. But anyways, the Hoo-rag does what it is intended to be used for, and I can’t complain, especially when it comes down to the price. For sure, I’ll order more whenever I need some more, for gifts or for myself.